Whirlwind Regenerative blowers are top quality. The motor is designed with a high service factor for years of reliable performance. 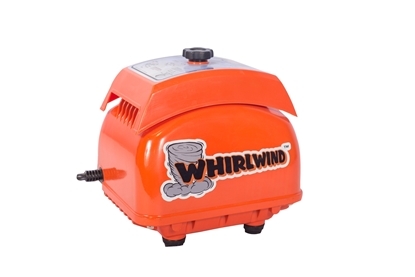 The Whirlwind R4247 Regenerative Blower has 1" ports, pre-wired with 120VAC cord, dual voltage 120vac/220vac, fits Hoot/TroyAir H500, H600, Bio-Microbics/MicroFAST 05, 0.625 and other 500-650 gallon per day systems. MicroFAST a Registered Trademark of Bio-Microbics, Inc. 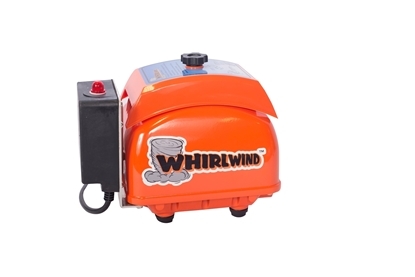 The Whirlwind R4247 Regenerative Blower comes with an 18-month limited warranty. The Gast R2103 Regenerative Blower is used for high volume vacuum or compressed air applications. Used in a wide range of applications including sewage aeration and aquaculture. The R2103 TEFC electric motors are UL and CSA approved with permanently sealed ball bearings. Gast R2103 Regenerative Blowers have a maximum air flow 42 CFM (60 Hz), 33 CFM (50 Hz), maximum pressure of 39" H2O (60 Hz), 30" H2O (50 Hz), and maximum vacuum of 35" H2O (60 Hz), 25" H2O (50 Hz). The R2103 has a power rating of 1/3 - 1/2 hp. 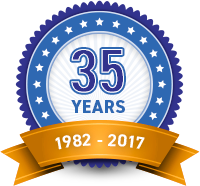 We offer a 1-year limited warranty on all Gast Regenerative Blowers.